Spacious and bright meeting room with windows for 36 people with modern facilities. White board -wall paper on the walls, where you can write and draw. Own air-condition in the room. Video projector with wireless Barco. 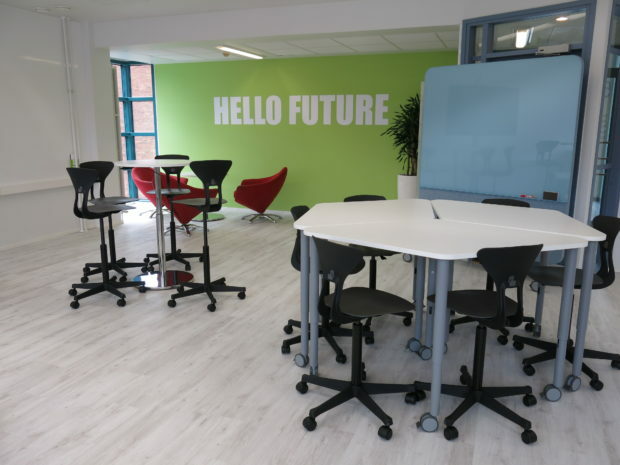 Fun and innovative meeting room with windows for 20 people. 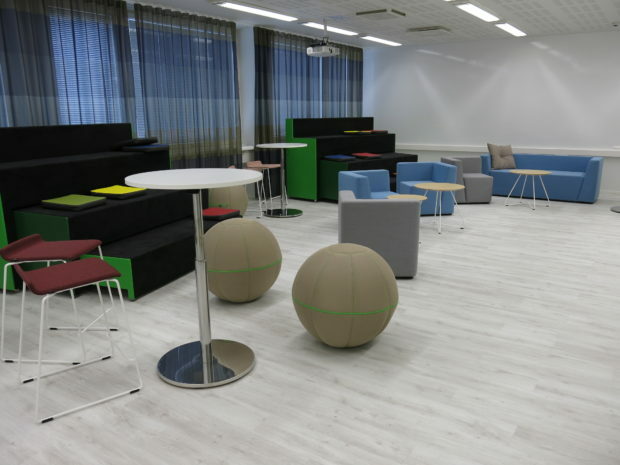 Areena room has many comfortable couches, armchairs, gym balls and two moveable stands. White board -wall paper on the walls, where you can write and draw. Own air-condition in the room. Cosy and inspiring meeting space for max. 9 people. 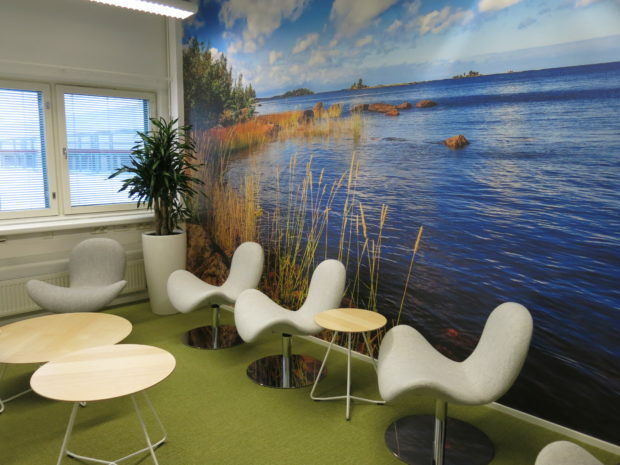 Excellent for the small meetings and trainings with beautiful lake view wall paper. White board -wall paper on the wall, where you can write and draw. Great and efficient meeting room for max. 10 people. 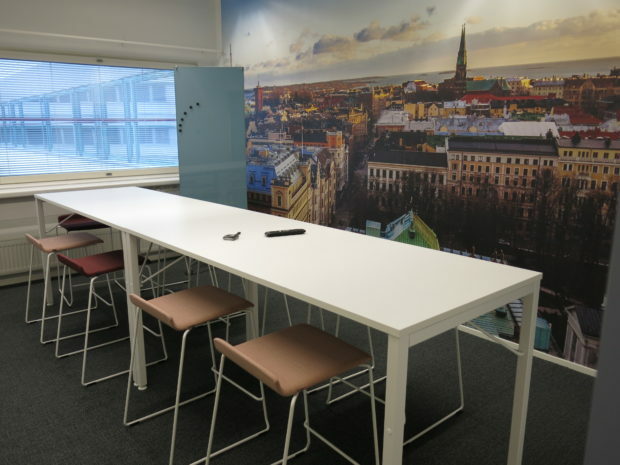 Excellent for the small meetings and trainings with view over the roofs of Helsinki. White board -wall paper on the wall, where you can write and draw. Prices includes the VAT 24 % and 14 %. In the innovation rooms you have the right to cancel the event 7 days before the event without any cost. If you cancel confirmed event less than 7 days before the event, we will collect cancellation charge due to rental of the meeting room. If you cancel the event at the same day, we will also collect the costs of the servings. Our sales office is open from 8.30 am. till 4 pm. during the weekdays: phone +358 20 7461 352, e-mail address myynti@ami.fi.